Red is the color of reward! For qualifying purchases, we’ll give you this fantastic red Cyclone fidget spinner as a gift! The hardy plastic body will ensure this gift will last. The perfect size to fit your hand (nearly three by three inches) and a comfortable weight aided by the metal balanced outer weights, these little babies can really spin. 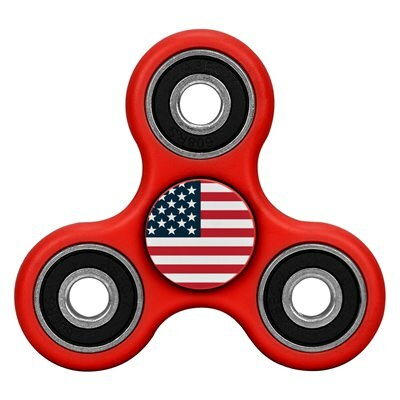 Give them a whirl and see the American Flag proudly spin!